One of the most creative and practical flooring options is definitely vinyl – it looks great and is very economical. Furthermore, it provides many decorating possibilities and is very durable. Compared to other options such as wood or tiles, it gives a more soft surface to your floors. It is manufactured to be extremely durable and incorporates a thin layer of foam or felt which provides more flexibility. Vinyl flooring is very easy to install, either as vinyl sheets or individual tiles and requires very little maintenance making it a perfect choice for any home. Vinyl flooring is manufactured to be very durable. It is a great investment in the long run and when installed properly it can last for many years. It doesn’t wear easily and is very resistant to stains, scratches, dust and water as well. It is also very resilient making it comfortable to walk on and is a much quieter option in comparison to other flooring types. Another great thing about vinyl is that it is very easy to clean and maintain. You can use different types of cleaning supplies without worrying that it will get damaged. Vinyl flooring is great for any type of room, moreover, its highly resistant features make it a perfect flooring solution for kitchens and bathrooms. It gives every room a chic look and a unique ambiance. Indeed, the décor options are endless and one of the greatest advantages of vinyl flooring is that it comes in many different styles and designs. The range of different colours and patterns is pretty wide – from those that mimic wood and natural stone, to unique retro styles. 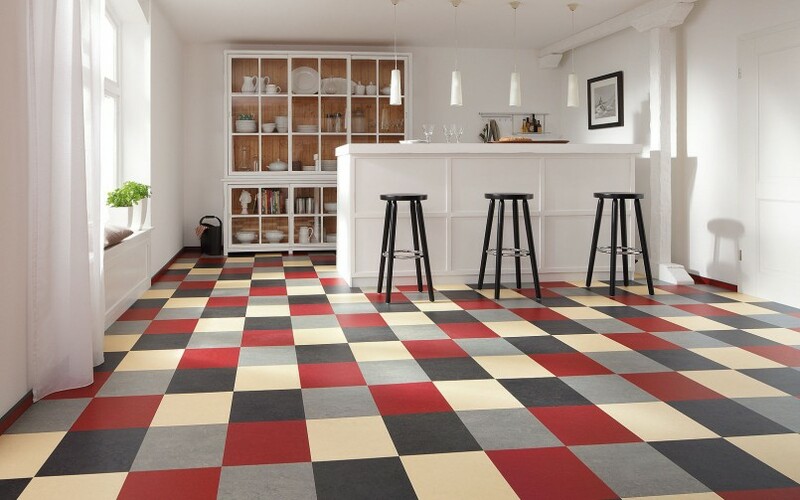 A design that is becoming more and more popular nowadays is the vinyl checkered flooring. Its unique pattern provides different decorating options and goes well with practically any colour and style of furniture. Vinyl checkered flooring has a design which is rather noticeable and can bring the décor of your room to a whole different level. 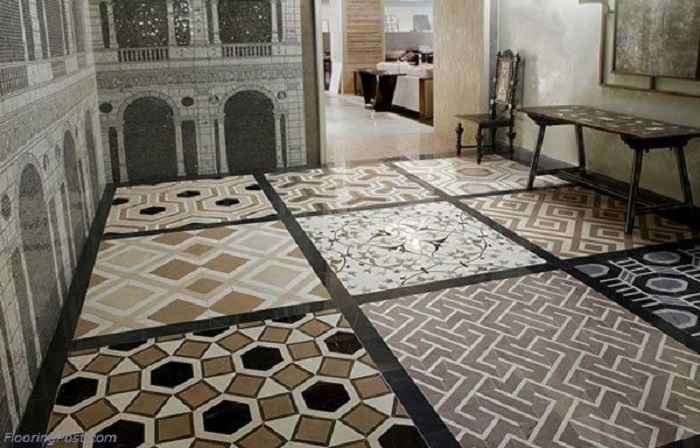 However, the black and white pattern is probably the most versatile out there and it is a practical flooring solution for any room style. This combination of colours for your vinyl checkered flooring will give a sophisticated and retro look to your living space. It is also a very creative option for combining the contemporary with the retro. For example, you can style your living room in this way by choosing modern furniture and decorative pieces and go for the unique retro black and white vinyl pattern on the floor.